Tibetan Buddhism is known for its many techniques of spiritual development and for its great acceleration of the spiritual journey. Tibetan Buddhism spread to the West in the second half of the 20th century as many Tibetan leaders were exiled from their homeland by China.Tibetan religious communities in the West consist both of refugees from Tibet and westerners drawn to the Tibetan religious tradition. 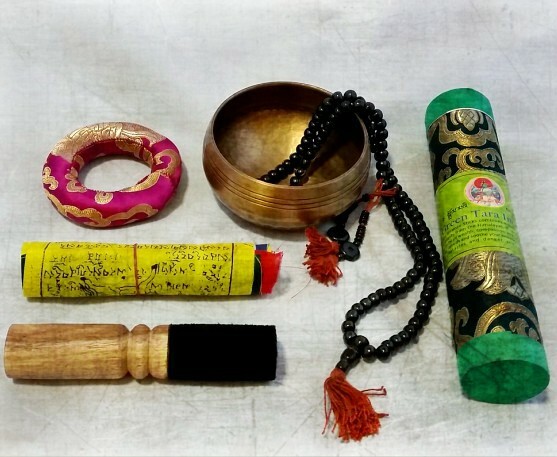 The Elements of Tibet Box celebrates the rich traditions of this deeply spiritual culture. 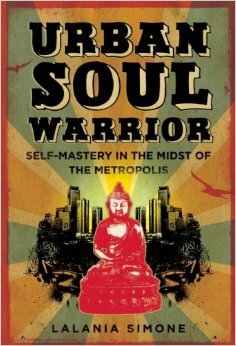 To learn more about Tibetan Buddhism check out this informative online booklet. 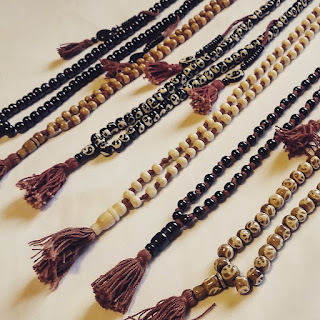 A mala is a string of prayer beads used to count mantras or repeat affirmations in sets of 108 repetitions. A mantra is a word or series of words chanted aloud or silently to invoke spiritual qualities. The practice of chanting a mantra is used as a form of meditation. Sitting in a comfortable position the mantra is repeated out loud or within the mind. The word for mala in Tibetan is threngwa. The yak is a revered animal in Tibetan Culture, used for milk, butter & cheese, as well as transportation, clothing & hauling goods. Because of the high esteem for the animal, every part of it is used upon its death. To use the bones for spiritual objects, the Yak must have died of natural means, making it pure &free of karma. The beads are worn with reverence as a reminder of the impermanence of life. The colors of the flags represent the elements, yellow-earth, green–water, red-fire, white-air, blue-space. 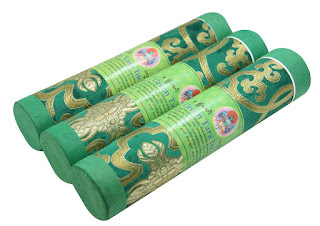 Ancient Buddhist prayers, mantras and powerful symbols printed on them produce a spiritual vibration that is activated and carried by the wind. The Tibetan script we see today on prayer flags was modeled after an Indian script used at that time. 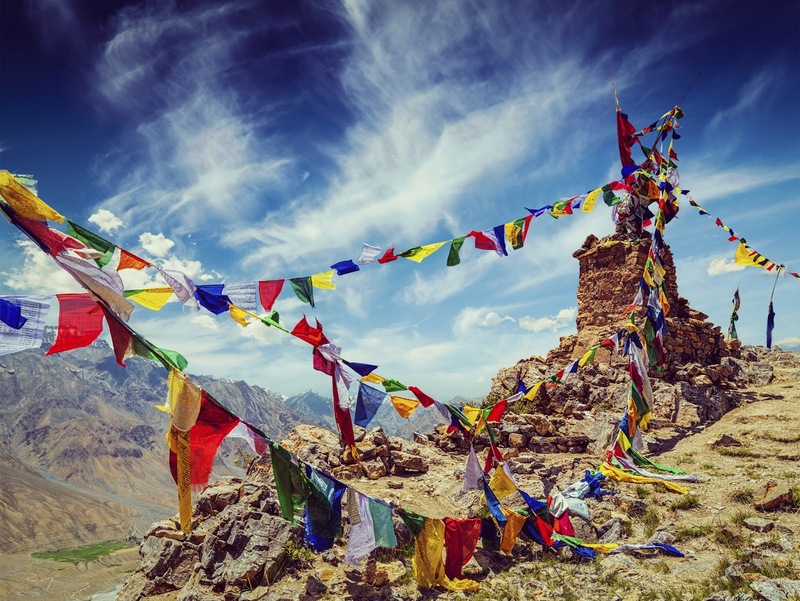 Texts seen on prayer flags can be broadly categorized as mantra, sutra and prayers. Probably the oldest Buddhist mantra and still the most widespread among Tibetans is the six-syllable mantra of Avalokiteshvara, the bodhisattva of compassion. OM MANI PADME HUNG! Printed on prayer flags the mantra sends blessings of compassion into the world. Tibetan tradition considers prayer flags to be holy because they contain sacred texts and symbols, and they should be treated respectfully. They should not be placed on the ground or put in the trash. When disposing of old prayer flags the traditional way is to burn them so that the smoke may carry their blessings to the heavens. Made according to traditional methods found in ancient texts. It is made from herbs collected in the Himalayas, White and Red Sandalwood, Clove, Cinnamon, Saffron, Cardamom, and traditional Tibetan herbs. Green Tara is the Mother of Liberation, a Tibetan deity who offers individual protection from the spiritual dangers of greed, hatred, and delusion. 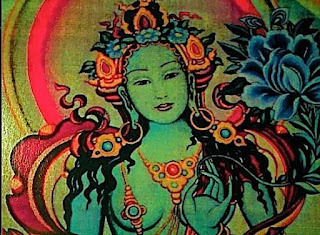 Tara, whose name means “star” or “she who ferries across,” is a Bodhisattva of compassion who manifests in female form. In Tibetan, Tara is known as “Dölma” (Sgrol-ma), or “She Who Saves.” In particular she represents compassion in action, since she’s in the process of stepping from her lotus throne in order to help sentient beings. I am so in love with this box. I need a little practice with my singing bowl but practice is what it's all about, right?! Thank you so much for putting this together. You guys are the best! WEvolve Box is a subscription service that delivers metaphysical and sacred objects to inspire a deepening awareness of ones infinite nature. This blogspace is dedicated to subscribers, with the intent to expand on information about items included in their mystical boxes. To subscribe visit www.wevolvebox.com.